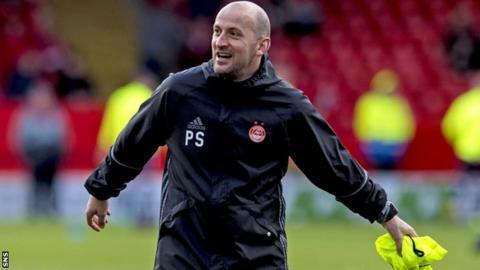 Aberdeen have granted Inverness Caledonian Thistle permission to speak to Under-20s coach Paul Sheerin about their managerial vacancy. Sheerin is expected to hold talks with Inverness this week to discuss replacing Richie Foran. The Irishman departed shortly after the Highland club were relegated to the Scottish Championship. Sheerin is believed to be keen on a return to first-team management having previously been in charge of Arbroath. The former midfielder played for Caley Thistle between 1998 and 2001 and scored in their famous Scottish Cup victory over Celtic 17 years ago.